Latest news from the pre65 Scottish HQ is some fella called Britton who edits a dirt bike magazine (which you may have your hands on now) is to be guest of honour at the 2018 trial. If you’ve not paid your entry fee already you’re too late. The list is full and the event was massively oversubscribed at 314 entries received. The club – Edinburgh and DMC – has published a breakdown of how the entries are balloted and it’s on the club website – www.pre65scottish.com – for all to see. There is also a request from the organisers for anyone interested in observing to contact the observer co-ordinator by emailing observers@pre65scottish.co.uk for which you will receive the undying gratitude of all us riders and a chance to stand out in the Scottish countryside. 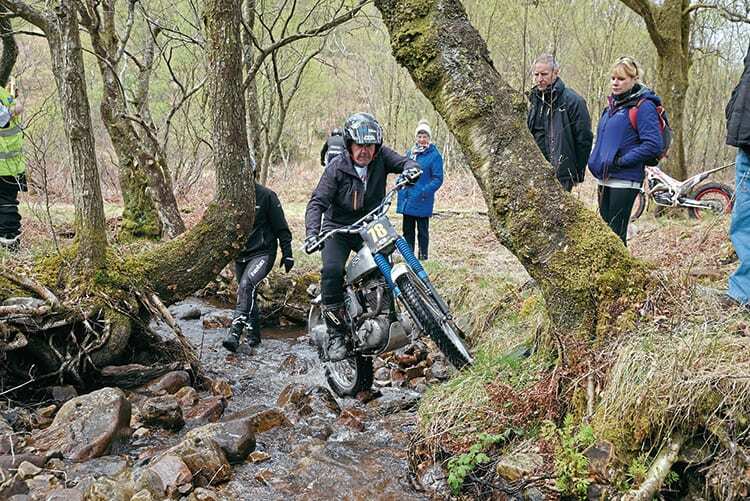 The pre65 Scottish Trial is on May 4/5 and based in Kinlochleven. Riders are asked to present their machines at the weigh-in on Thursday, May 3.